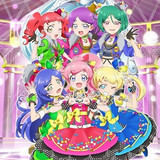 As reported, the Idol Time PriPara TV anime series' popular boy idol unit WITH will hold their own live concerts titled "Asamo! Yorumo! Donna Tokimo! always WITH you!! (Morning! Night! Anytime! always WITH you!!) from tomorrow. 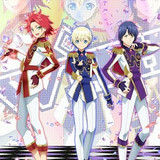 For the fans who can't wait, they have posted a preview video for the three songs recorded for the concerts, "Sukini Shite IIZE," "DANCE PRINCE," and "ALWAYS WiTH YOU!!!" Check out their brand new songs after the jump! Will they be able to follow the success of KING OF PRISM? 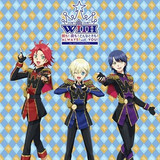 The official website for the Idol Time PriPara TV anime series has announced that its three-member boy idol unit WITH plans to hold their own live concert in Tokyo (June 24) and Osaka (July 22). In addition to their hit song "Gira Galactic Tightrope," they will also perform a brand new song that will be produced exclusively for the event. Hit the jump for more details. 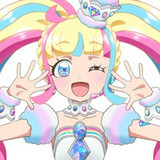 Following the main visual revealed last week, the official website for the upcoming anime film Movie PriPara & Kiratto Pri☆Chan ~KiraKira Memorial Live~ today released a 60-second full trailer introducing its theme song "Prima☆donna? Memorial!" 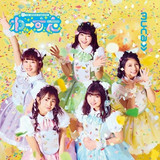 performed by three-member voice actress idol unit Run Girls,Run!, who also sings the OP theme for the Kiratto Pri☆Chan TV series. Meet the "Pretty" series idols after the jump! 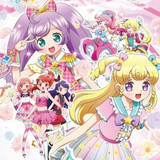 The official website for the upcoming anime film Movie PriPara & Kiratto Pri☆Chan ~KiraKira Memorial Live~ today released a main visual featuring its six main idols: Laala Manaka (PriPara), Yui Yumekawa (Idol Time PriPara), Naru Ayase (Pretty Rhythm: Ranbow Live), Mia Ageha (PR: Dear My Future), Aira Harune (PR: Aurora Dream), and Mirai Momoyama and Emo Moegi (Kiratto Pri☆Chan). Learn more about the highly-anticipated all-star film after the jump! 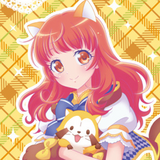 Takara Tommy Arts' official website for Kiratto Pri☆Chan, the latest installment of its "Pretty" arcade game/anime franchise for girls, has posted a 30-second CM for its upcoming TV anime, narrated by one of the two protagonist girls, Mirai Momoyama (CV: Koko Hayashi). 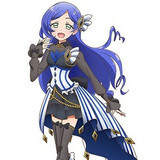 Meet the new idols after the jump! 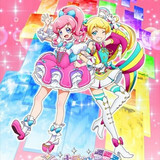 In the latest 50th episode of Idol Time PriPara aired in Japan last night, SoLaMi♡SMILE and Dressing Pafé performed the anime's last OP song "Memorial" together. 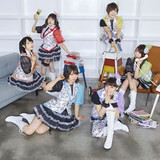 The six-members of voice actress idol unit i☆Ris, who have voiced the characters of the two units for four years, served as motion actors for the CG stage footage. Watch the behind-the-scenes clip with their messages to their characters after the jump! The official website for five-member Japanese idol group Wa-suta/The World Standard has posted a four-minute full music video for their latest digital single "Welcome to Dream." 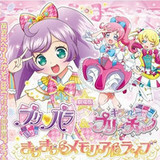 The group previously provided the first two OP songs for the ongoing TV anime Idol Time PriPara, and "Welcome to Dream" is currently featured as the anime's third ED song. Check out their cuteness after the jump!